Crystal Dynamics wants upcoming Tomb Raider films to form "a cohesive version of the franchise". The Tomb Raider reboot launch is rapidly approaching, and even now the response is overwhelmingly positive. By all accounts, reviewers seem confident that the title will revitalize the series and elevate Lara Croft into a new kind of videogame heroine. It's worth noting, however, that videogames aren't the only medium Lara features in; two Tomb Raider films have already been produced, while plans to reboot the storyline for a third were circulating in 2011. 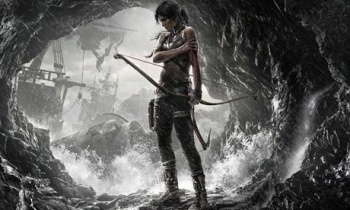 In fact, the videogame reboot and movie reboot may have quite a bit in common: Crystal Dynamics and GK Films are reportedly working together to adapt Lara's latest interpretation for the big screen. "[GK Films] are working from this new take that we've given them," Darrell Gallagher said in an interview with Variety. "It was important for both of us to have a cohesive version of the franchise ... We didn't want to see a film version that was a continuation of the old Tomb Raider films." The original Tomb Raider movies were successful enough, raking in over $430 million at the box office between them. Both movies even made the top ten on Rotten Tomato's best videogame adaptations list, although neither were considered to be more than popcorn fodder. Lara's creators could be setting their sights higher for another adaptation, as noted by one film producer suggesting that Tomb Raider will be a character piece. In 2011, no one was quite sure what to make of such statements, but the latest game has certainly painted those prospects in a whole new light. If the new game is a success, which we can certainly bet on, fans will likely see more of what a film could entail. The only question would be whether GK Films' version of Lara could be as engaging as Crystal Dynamic's latest interpretation. The new screenplay is reportedly being developed by Iron Man's Mark Fergus and Hawk Ostby.